Direction : Apply liberally to skin, avoiding the eye area, 30 minutes prior to sun exposure. Apply every two hours while outside and reapply after prolonged swimming or perspiration. 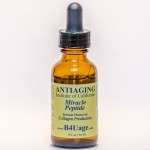 One of the most important factors that would age the skin is its exposure to the sun. Remember that prevention is always easier than repair. Sun screens that absorb or block UV radiations have important protective functions. 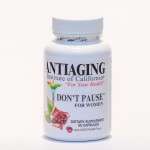 At the ANTIAGING Institute of California, your health is as important to us as your beauty. That’s why we highly recommend our micronized SPF 60 B4Uburn sun screen. Cover your hands with B4Uburn SPF 60 while driving to prevent sun spots and dark spots on your hands. B4UBurn is water resistance with Zinc Oxide for skin protection, repair and re-generation. B4Uburn sun screen is a vital tool that can help prevent the UV damages on the body as part of a comprehensive sun protection program, along with avoiding direct sunlight during peak hours (10 AM to 4 PM), protective light color clothing, a hat and UV radiation blocking sunglasses. Directions: Apply liberally to skin, avoiding the eye area, 30 minutes prior to sun exposure. Apply every two hours while outside and reapply after prolonged swimming or perspiration. Inactive Ingredients: Purified Water, Glycerin, Isopropyl Palmitate, Dimenthicone, Cetyl Alcohol, Stearic Acid, Glyceryl Stearate (and) Peg 100 Stearate, Cyclopentasiloxane (and) Dimethicone, Helianthus Annuus (Sunflower) Seed Oil, Carbomer, Triethanolamine, Vitis Vinifera (Grape Seed Oil), Xanthan Gum, Imidazolidinyl Urea, Tetrasodium EDTA, Allantoin, Methylparaben, Propyparaben.